Hitachi Systems Micro Clinic Pvt. Ltd., one of India’s leading IT Services and Solutions provider, marked the beginning of its 25th year in India today and brought in the occasion with much aplomb in Mumbai. 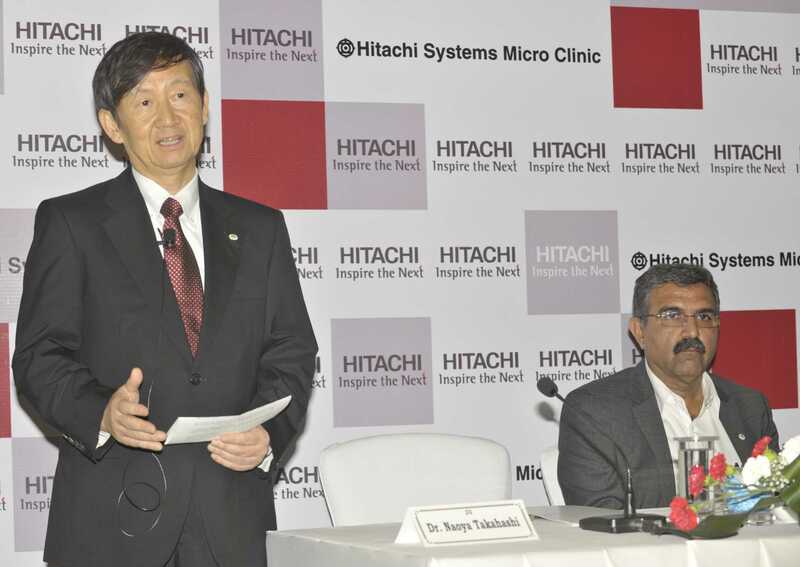 Dr. Naoya Takahashi, President and CEO, Hitachi Systems, Ltd. and Hitachi Systems Micro Clinic’s Managing Director Mr. Tarun Seth shared company’s journey and future growth trajectory. Hitachi Systems Micro Clinic serves diverse IT requirements for industry portfolios including Government/PSUs, BFSI, IT/ITES, Manufacturing, Retail, Online, Media, Hospitality/Healthcare, Automobiles, Travel, and Logistics. Hitachi Systems Micro Clinic’s key strength lies in Hitachi’s strong global brand equity and long term relationships with key OEM vendors such as HP, HDS, McAfee, Microsoft, Cisco, etc. They also have plans to enter the Smart city sector of India in 2017 after being successful in Japan.